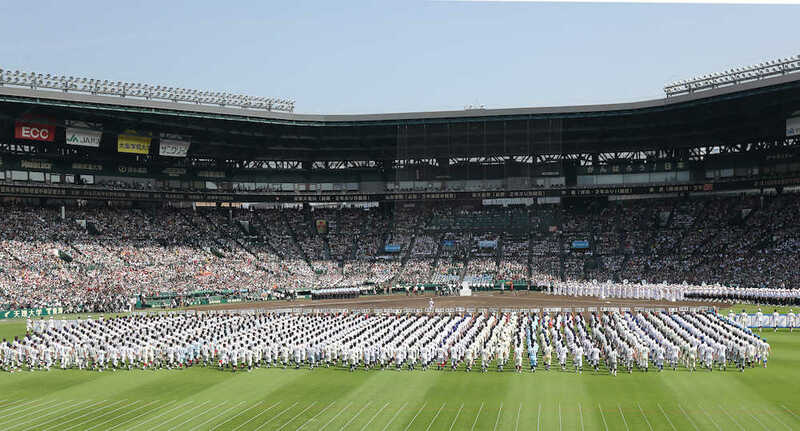 The 100th National High School Baseball Tournament, started in 1915, gets underway on Sunday, August 5 at historic Koshien Stadium near Kobe. Organized by the Japan High School Baseball Federation in association with the prestigious Asahi Shimbun, the tourney is the largest sporting event in Japan, on par with the World Series and the NCAA Men’s Basketball Tournament in the United States, in terms of popularity. Fifty-six teams from around the country will vie for the national championship in a single-elimination competition lasting 17 days. Crowds of up to 50,000 fans per day will attend, while each and every game will be telecast live, nationwide, by NHK to an audience of millions. 56 regional high school champion teams compete in elimination tournament which is scheduled for 17 days.